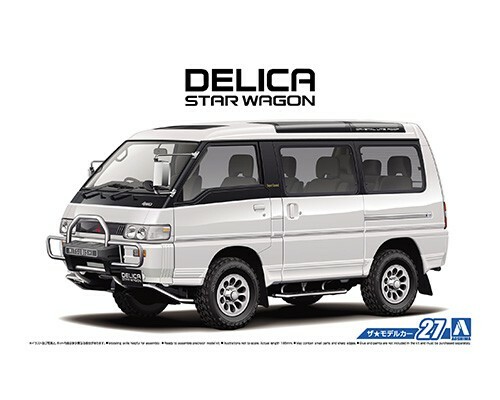 In June 1986 the Delica underwent its third full model change. It received minor facelift in 1989 and equipped with Crystal Light Roof, followed by another minor face lift in 1990 in which it had sharper-look front design with projector head beams. The vehicle made a big sale and the production continued until 1999. 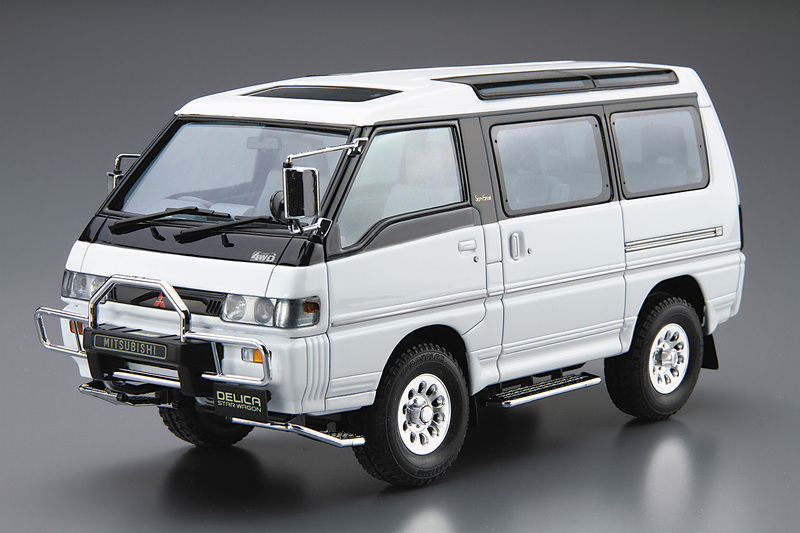 This model kit replicates the Delica P35W Super Exceed of a catalog spec. 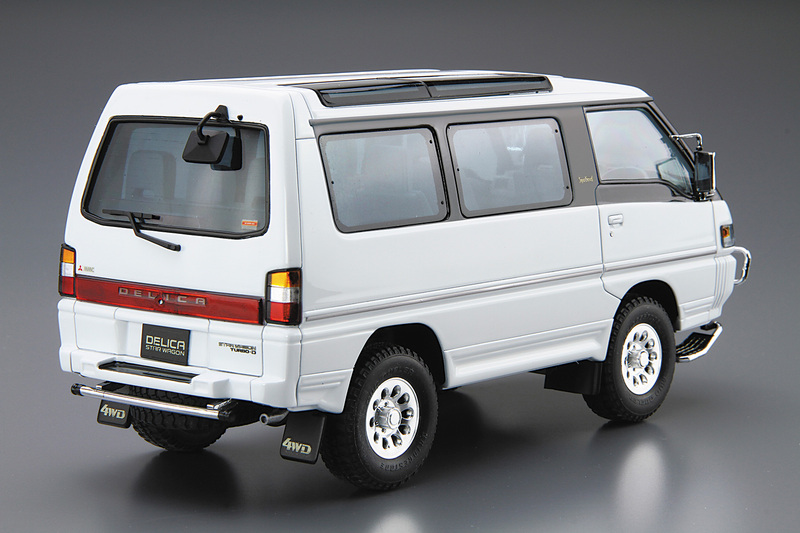 Additionally, it includes optional parts and aluminum wheels, also window masking seal.